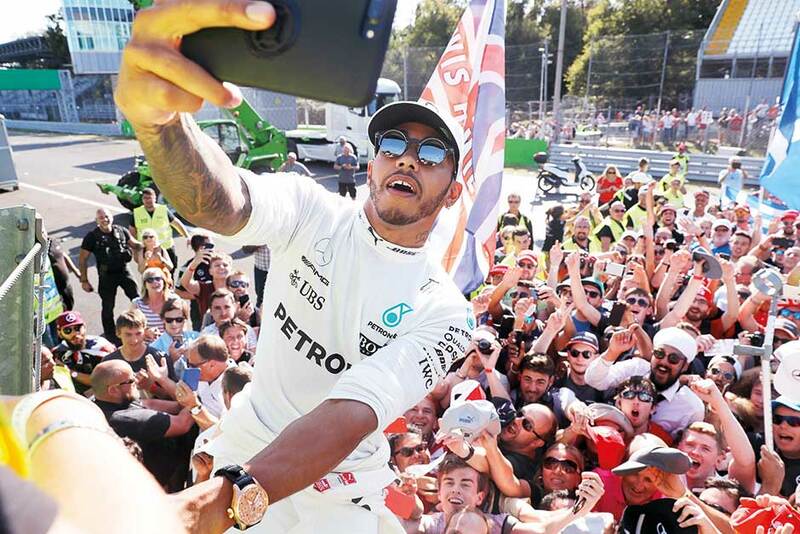 Monza: Lewis Hamilton said he had enjoyed playing the villain at the Italian Grand Prix after he took the lead of the Formula One world championship for the first time this season. The Mercedes driver was booed by a fiercely partisan crowd, desperate to see a Ferrari win at the Scuderia’s 70th anniversary race, as he revelled in a dominant victory. Hamilton’s evident pleasure was understandable. His win, a run from pole to flag during which he barely put a wheel out of place, leaves him in front of his title rival, Ferrari’s Sebastian Vettel, with seven races remaining. Vettel finished third, behind Hamilton’s teammate Valtteri Bottas. Vettel had led by seven points going into the race but now trails Hamilton by three after 13 grands prix. Hamilton has won six races to Vettel’s four and the Mercedes had a clear advantage over Ferrari at the high-speed challenge of the Autodromo Nazionale. The crowd had come to see their beloved Scuderia win, however, and when denied they thronged beneath the podium and booed Hamilton, albeit in a good-natured fashion which was appreciated by the three-times world champion, who has made clear his affection for this glorious circuit. “It is to be expected here in Italy — the last 10 years it has been common to have that if a Ferrari driver is not on top,” Hamilton said. Hamilton has shown fine form on high-speed circuits since he drove to a dominant victory at the British Grand Prix in July. “Silverstone was an empowering weekend, and from then it has sparked a forest fire within me and hopefully that has reflected in my driving,” Hamilton said.